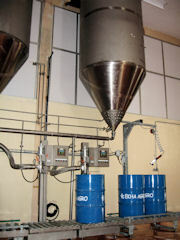 Ekha Agro Farms Glucose Factory. 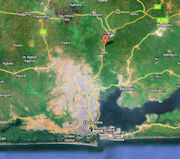 The factory is located at the expressway between Lagos and Ibadan. (N 6o 45' 39.32", E 3o 25' 32.06"). 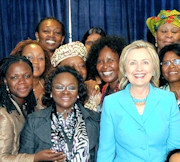 Promotion of agro-industrial projects in Africa is very important to US Secretary of State Hillary Clinton and she has taken a great and sustained interest in the new Nigerian glucose project. 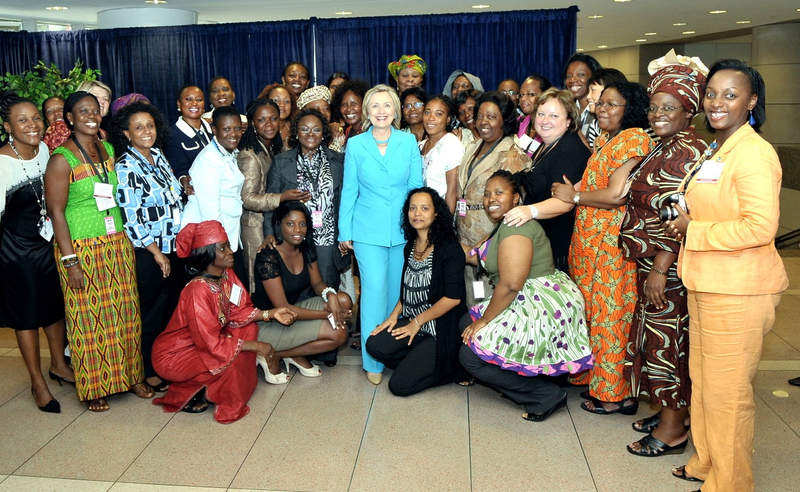 Here she poses with Yemisi Iranloye from the Nigerian factory together with other participants of African Women's Entrepreneurship Program. Ekha Agro Farms Limited was incorporated in 1986 with importation and sale of food and feed additives such as amino acids, vitamins, and sweeteners including glucose syrup. 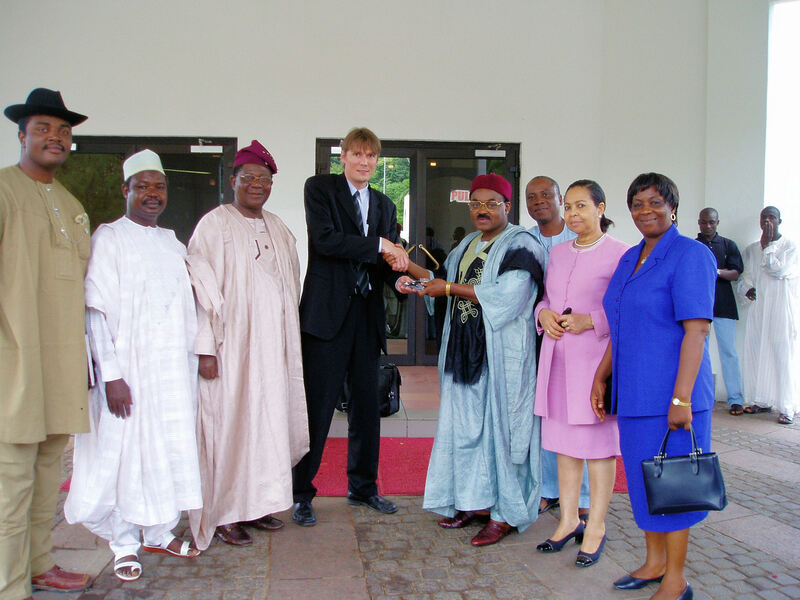 A few years ago, the company made the strategic decision to diversify its operations into the production of cassava-based glucose syrup. It is the first glucose syrup factory in Nigeria. Timbuktu Chronicles: Ekha Agro and Glucose Syrup production. Ekha Agro Farms Limited: Foremost Manufacturers of 42DE Glucose Syrup in Nigeria. First Modern Glucose Factory on Stream. 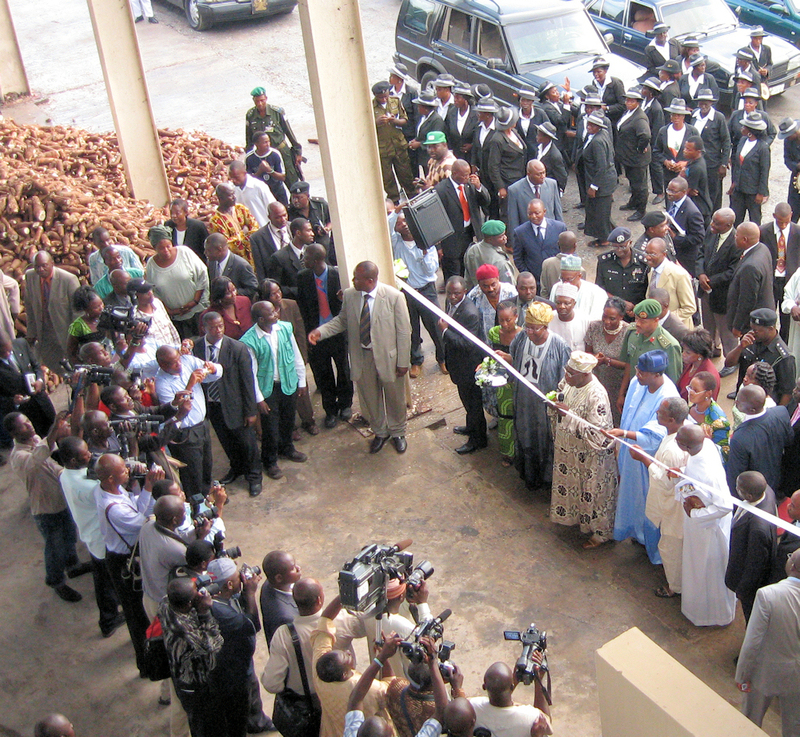 Ekha Agro Farms has opened the first modern factory for the manufacture of glucose syrup in Nigeria. 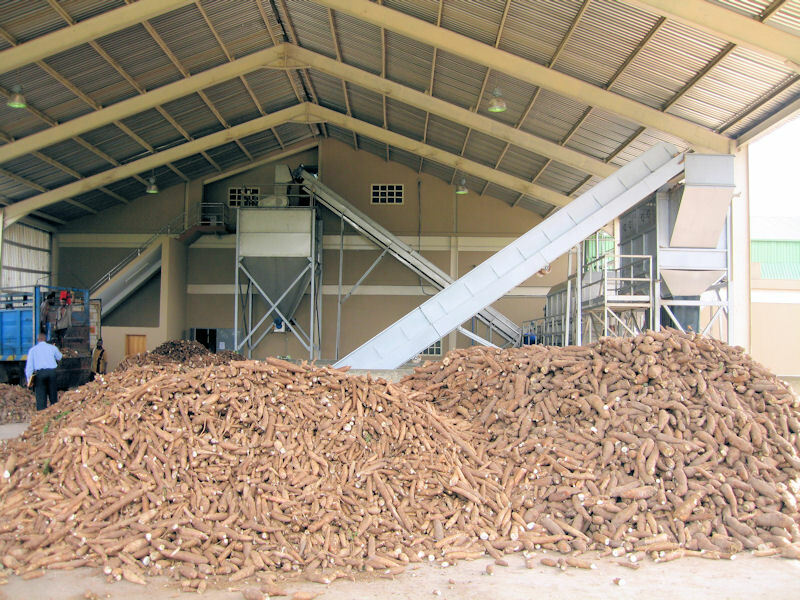 The plant is remarkable because it takes fresh cassava roots in directly from the fields and delivers first-class glucose syrup directly to customers. Nigerians have a sweet tooth and customers are queuing up to buy glucose syrup produced locally and from local raw materials. Just the strong local involvement has been the government's attention. The factory fits right in the eye of the government's efforts to promote the agro-industrial sector - so no wonder that the highest office turned up for the opening festivities. 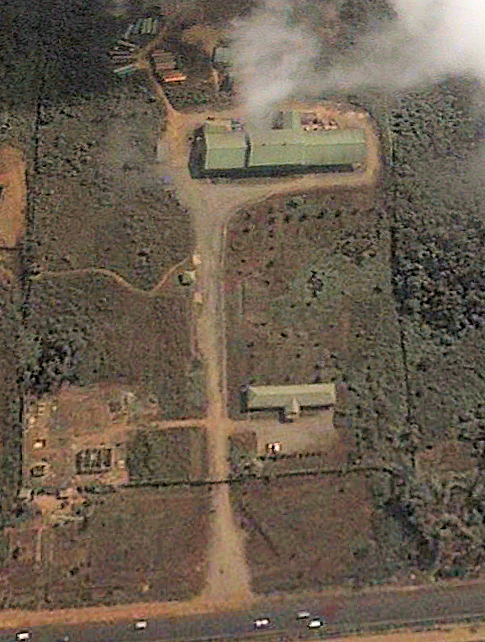 The factory has its own cassava fields, but also buys from outgrowers in the area. The roots are transported into the plant on trucks every day. The starch is extracted and converted in-line to glucose syrup - a starch sweetener with wide applications in confectionary, bakery products, canned fruit etc. We signed at long-term technical management agreement to ensure the day to day operation. 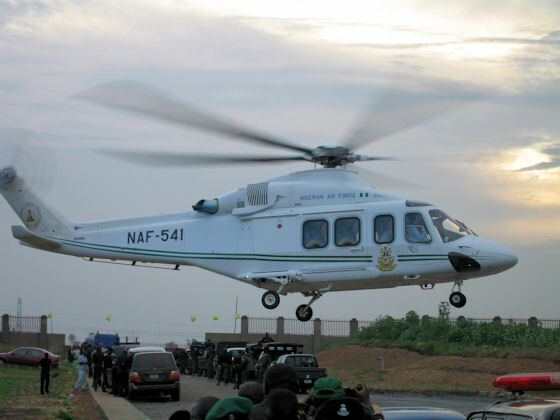 The ultra modern factory is constructed at KM 25, Lagos-Ibadan Expressway and commissioned by President Olusegun Obasanjo. 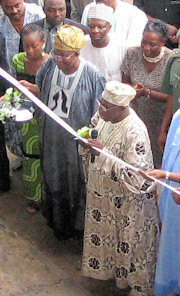 The factory is demonstrated to President Olusegun Obasanjo by the owner Sam Osarenko.